• Hong Kong’s economy is characterised by free trade, low taxation and minimal government intervention. It has one of the highest population densities in the world. While its residents enjoy one of the highest per capita income, its property price is also among the highest. • ADC Artspace, launched in 2014, makes use of a 1 000-square metre space in a former industrial building in Hong Kong. It leases 17 arts studios to 26 local visual and media artists at concessionary rates. • The project represents a joint effort between the government, the arts community and the business sector . Identifying a willing private landlord and securing government funding were key to success. Hong Kong has one of the highest population densities in the world with 7.3 million people (as of mid-2015) in an area of around 1 110 square kilometres. In recent years, more and more artists and art groups have chosen to set up studios in industrial buildings, taking advantage of the relatively lower rental costs, higher headroom, higher limit load and less restrictive physical layout. But in line with global trends, property prices have been rising in Hong Kong, making these industrial spaces increasingly expensive. Some landlords have converted them into other, more profitable uses fetching higher rent. The shortage of affordable arts space in Hong Kong poses a challenge to emerging artists, small and medium arts organisations and creative groups. Launched by the Hong Kong Arts Development Council (HKADC) in 2014, ADC Artspace is the first arts space project put forward in Hong Kong. It leases 17 arts studios to local visual and media artists at concessionary rates. It is housed in a private former industrial building in the Wong Chuk Hang neighbourhood, an industrial zone in Hong Kong Island South that is now a burgeoning cluster of galleries and arts spaces. The project represents a joint effort between the government, the arts community and the business sector. 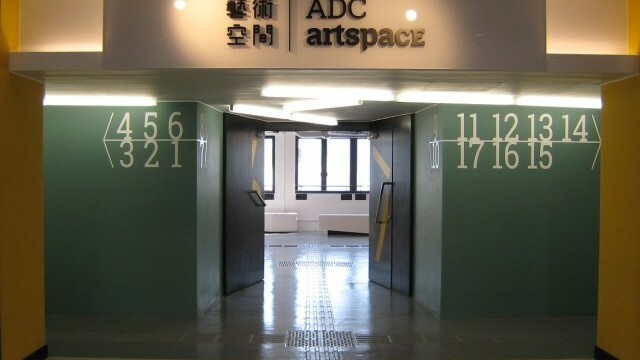 ADC Artspace is administered by the HKADC and funded by the Home Affairs Bureau of the Government of the Hong Kong Special Administrative Region. It is supported by the landlord of the building where the studios are located, who is willing to collect a below-market rent. In this project, the government, the arts community and the business sector worked together, complementing other projects that involve direct provision of arts space. The government believes this approach helps create a supportive atmosphere for the development of arts and culture in the community, engage businesses and community groups with culture, and open up new opportunities and resources for artists and arts groups. Identifying a willing private landlord for the project was key to the success of the project. The HKADC succeeded in finding a landlord who was willing to lease a floor (about 1,000 square metres) of a former industrial building at below-market rates. The tenancy agreement runs for six years, from 2014 to 2020. Securing funding to convert the industrial space into an arts space was another key factor. To support the project, the government provided HK$8.7 million to refurbish the floor. This funding is also used for supporting emerging artists (not more than three years after graduation), who receive a 50% rental subsidy for a maximum of two years. 17 arts studios were created, with sizes ranging from 300 to 1,400 square feet. At present, 26 local visual and media artists are renting the art studios, with around half of the studios allocated to emerging artists. The HKADC attaches great importance to the views and concerns of the tenants. It conducts meetings with the tenants to maintain close communication with them on regular basis. The government is committed to facilitating the provision of more arts space for local artists. It imposed as a condition on the land sale site of a former fire station, which was sold in 2016, that its future development must include arts studios, exhibition gallery and an arts information centre. Separately, the government has been exploring the feasibility of accommodating the production of artwork in industrial buildings. After deliberation, art studios (excluding those involving direct provision of services or goods) are now included as an ‘always permitted’ use in industrial-office buildings in specific land use zones. Outline zoning plans are gradually being amended to this effect. With the support of the government, one of Hong Kong’s district councils is collaborating with the HKADC on a project to convert a former public secondary school into an arts centre. This will provide about 19 arts studios for renting to performing arts groups, as well as multi-purpose rooms and music practice rooms for public hiring. • The viability of arts space projects depends heavily on the commercial terms agreed with a private landlord. The security of a long tenancy period and favourable commercial terms are essential to project success. • The ADC Artspace only occupies one floor of an industrial building, which could hardly create a critical mass of artists on site. More space would be ideal.